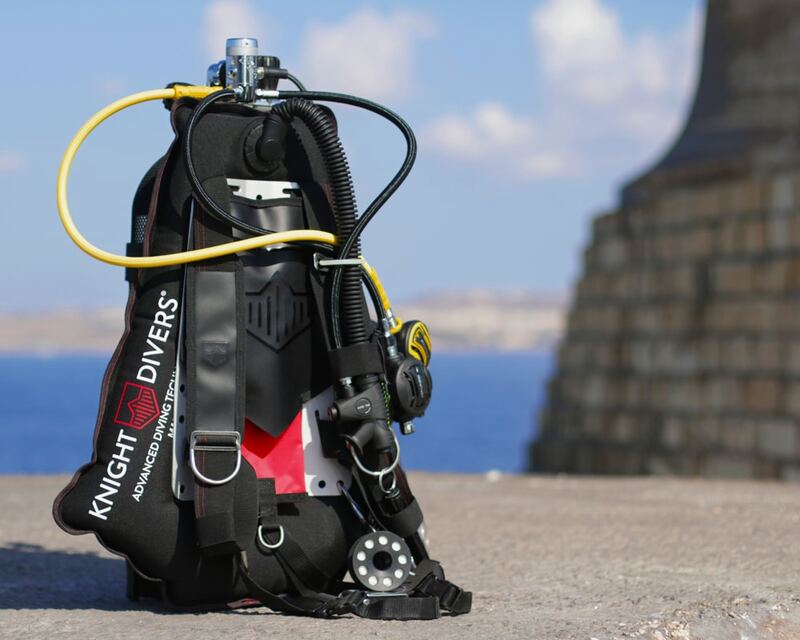 Malta-based Knight Divers has committed itself in its mission statement to produce superior dive equipment that is technically progressive. 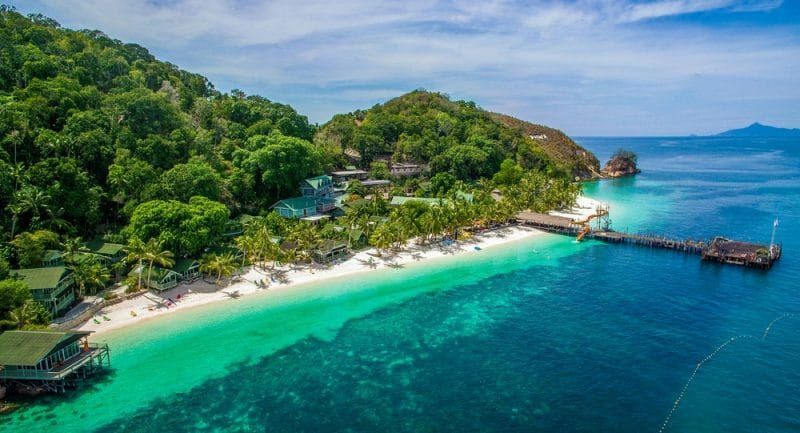 By using exceptional quality materials they have uniquely designed a product line that offers divers the ultimate underwater experience, based on comfort, safety, lightness and personal security. Knight Divers are dedicated to allowing all divers, regardless of their level of experience, to dive with the assurance that their equipment offers them the maximum amount of safety possible. This is achieved through a combination of comfort, lightness and strength in their BCD. 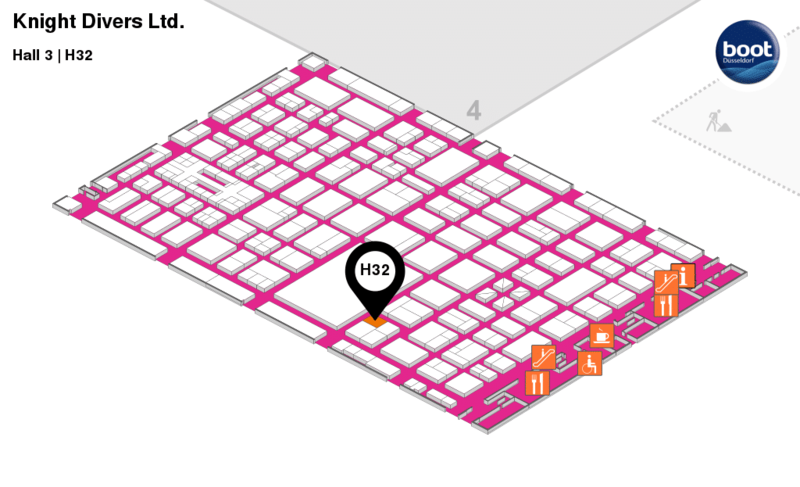 They use exclusively the most resistant and innovative materials made in Germany and Italy, applying the most modern processing technologies under strict quality controls. All their BCDs are manufactured in Malta, subject to rigorous tests and CE certificates according to the most recent legislation. 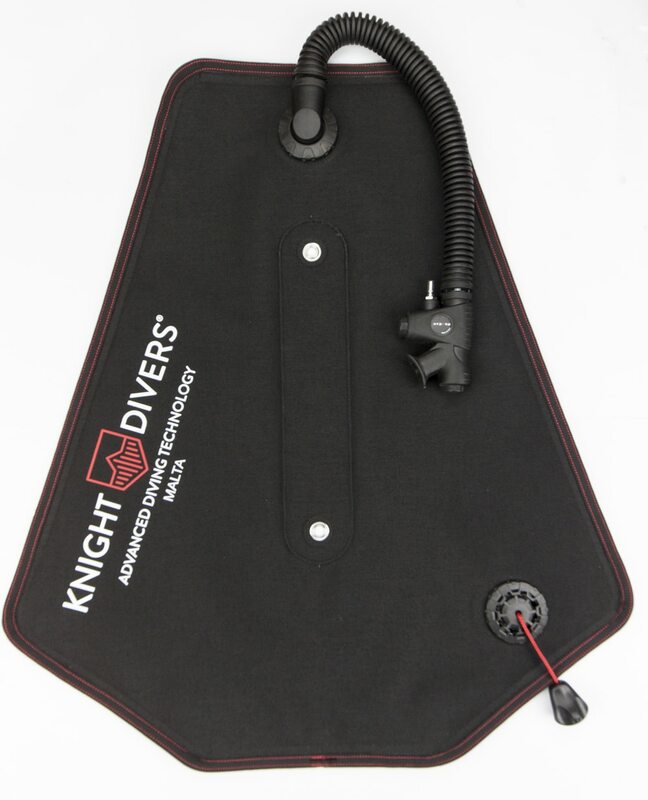 Knight Divers innovative new take on improving a superior safe product was to go back to the drawing board and create a new wing which would be simple to use and would guarantee divers the best possible trim. This goal was made possible by thinking outside of the box and by using the mathematical rule that governs nature itself “The Golden Ratio.” By following this geometry, Knight Divers were able to create a wing with an advanced shape. This asymmetrical design allows maximising the thrust in the belt areas, while eliminating dead zones in the central area. This not only made it possible to reduce the size of the product but also produce a more hydrodynamic wing that guarantees a reduction of physical effort, and therefore a reduction in air consumption and nitrogen accumulation allowing for longer and safer dives. The wing’s shape was only one of the advanced improvements Knight Divers implemented. The wings are produced using tubeless technology greatly reducing any loss of air (in the highly unlikely case of puncture) so that the wing can still operate. Thanks to a particular process used to bend webbing in the chest and armpit areas the harness offers unparalleled comfort and versatility, following the natural shape of the body. The backplates are electrochemically polished maximising longevity, using stainless steel bolts fitted using polyurethane washers reducing the possibility of galvanic corrosion. Construction uses only use the best quality K-inflator which has an ultra low profile elbow and an elliptical shape. Plus due to the central positioning on the back centre aligned with the neck, the inflator is in a protected area, drastically reducing the risk of trapping whist distributing air equally from both sides allowing a well balanced layout and not interfering with the regulators 1st Stage. The product line starts with the ultimate travel BC system: The GR 13 Ultralite. The GR 13 Wing was designed especially for travellers due to its very light weight of only 2.3Kg, combining an aluminium back plate and aluminium single tank adapter. The GR 13 Wing is minimalistic and hydrodynamic to ensure the divers total freedom of movement and gives a feeling of comfort and safety in the water. 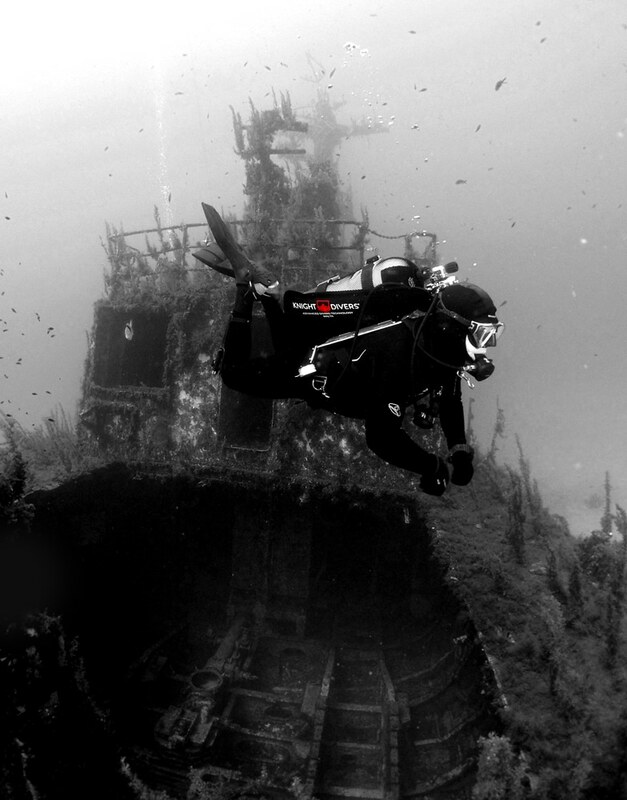 Despite its small size, it gives the diver a high thrust capacity both, below the surface, where thanks to its advanced shape it guarantees the diver an optimal trim, and above the surface as it gives you the ability to achieve high buoyancy trust and a perfect vertical position even in rough conditions. The GR 13 Wing is specifically for divers who prefer a small light wing capable of holding a single cylinder up to 15 litres. Also available in the version GR 13 Ultralite FAST Complete Set, which includes a harness, equipped with 2 ITW Nexus buckles that allow a quick dressing and a quick adjustment. 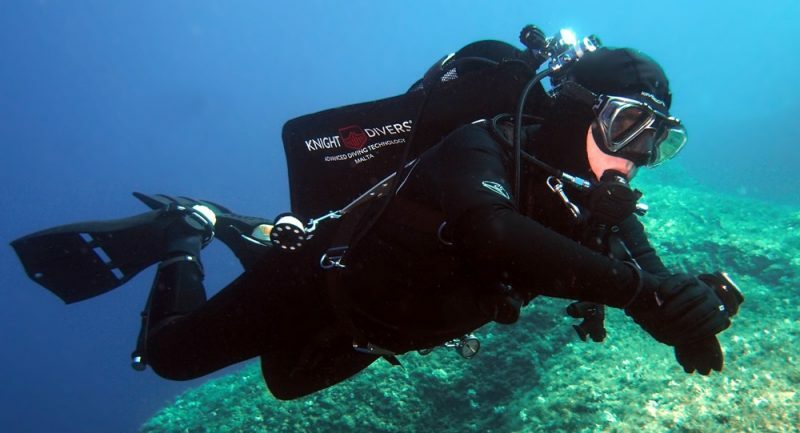 For more information about Knight Divers visit their website by clicking here.